Home / Blog / Is It Okay to Take a Child to a Funeral? Is It Okay to Take a Child to a Funeral? If you’re wondering whether it’s okay to take your child to a funeral, it’s certainly not an easy question to answer. 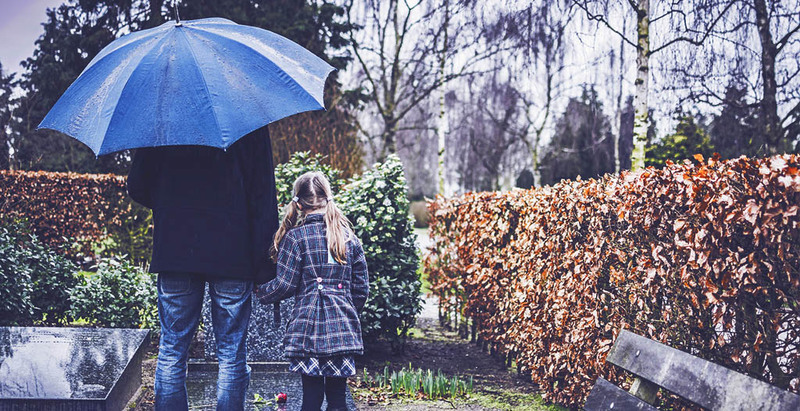 People often struggle with explaining funerals to children, and attending a funeral service with your child is ultimately a personal decision that depends on a variety of factors (including age and timing). If there’s a death in the family and you are wondering how to proceed, here’s some guidance on how to successfully navigate the situation. There isn’t a “one size fits all” script for explaining the end of life process to a child, so choose words that make sense for you and your family. Avoid using euphemisms because kids take things literally. For instance, if you tell your child that their “Grandma is sleeping,” they’ll be confused when she doesn’t wake up. Your child will probably ask multiple questions or rephrase your explanation in their own words, so be patient and give them time to digest the answers. Asking questions is how they understand complex ideas and process strong emotions. Your tone and body language are incredibly important and should closely match your words. Children can always tell when adults are being evasive and/or not telling the whole truth. Talk openly with your child about what to expect when they attend a funeral or a wake. Discuss the who, what, when, where, and why so they have some idea of what happens during a funeral service. Don’t sugarcoat the event. Instead, prepare them for the range of emotions they will experience from family members or other funeral attendees (some of which may be intense). Be sure to set behavioral expectations with your own child, and let them know how they should respond to things that will seem strange. Let them know you will support them throughout the process. Depending on their age and maturity level, it may make sense to get your child involved in the funeral planning process for someone they were close to. Children who lose a family member can help write the obituary, choose a photo for the funeral portrait, or select flowers for the casket wreath. Asking children for their input connects them to the funeral arrangements and also helps them cope with the loss. 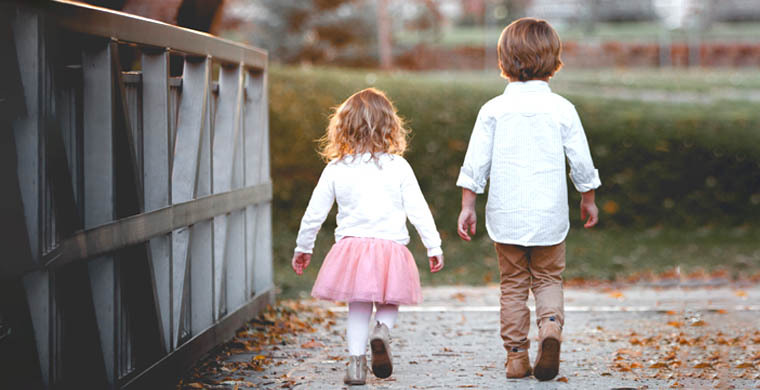 You can give your child a sense of independence by asking them what they want to wear to the burial ceremony or if they’d like to say a special final goodbye during the service. They will always remember how they participated in this important family milestone. Nobody can predict exactly how a child will behave during a funeral, but it’s a good idea to plan a strategy. Sit close to the nearest exit so you can leave quickly if the kid(s) get fussy or tired, and consider asking another family member or close friend to watch them during the funeral service if you don’t feel up to the task. Some funeral homes offer private spaces for funeral attendees with babies or young children so they can participate in the service without creating a scene. You know your child best, and only you can decide whether they are ready to attend a funeral service. Here is some age-specific guidance to help steer the funeral and burial conversation with your children. Toddlers tend to have a limited understanding of death. You can try to explain the meaning of a funeral service, but most toddlers don’t have the necessary attention span to truly understand. Their behavior is often unpredictable and may detract from the funeral proceedings. While it’s up to the parents to decide if a toddler should attend the funeral, it might be better to skip it altogether. Another option is to bring a babysitter to keep the children occupied in a private area, away from the ceremony. Children under 6 usually have a basic understanding of death. While they will likely have lots of questions, a simple explanation using words they understand should help them make sense of what’s going on. Younger kids may attend the funeral and sit through the service without causing too much of a fuss. In the event they become overwhelmed, have an exit plan in place. Children in this age range should already understand the concept of life and death. They don’t seem to fear death the way adults do, and many aren’t negatively affected by seeing the deceased in a casket. Young children will appreciate being asked if they want to attend the funeral or not, and they’ll certainly give you an honest answer. If they decide to go, offer adequate comfort and support during the service, and let them know that it’s okay to show their emotions. Teenagers are old enough to realize the importance of going to the funeral service of a family member or close friend, but should still be asked if they want to attend. Speak openly with them about their options. They should understand that their refusal to attend might hurt someone’s feelings, but their choice should be respected nonetheless. Taking your child to the funeral is a personal decision. Whether or not they attend, remember that they will need support after the funeral to help them cope with their loss. Let them know that grief is a journey and there will be some difficult times, but that things do get better. Most importantly, celebrate your loved one as often as possible to keep their memory alive.